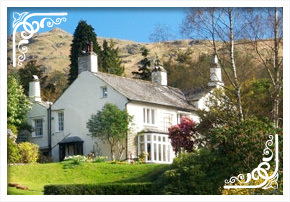 So wrote poet William Wordsworth about his beloved Grasmere home in the 19th century. It was as true then as it is today. Taking its name from the adjacent lake, the village unwinds through a gentle valley overlooked by Helm Crag and its anthropomorphic rock formation The Lion and the Lamb. Captivating throughout the year, Grasmere is best conjured up in the mind’s eye as if gazing through a seasonal kaleidoscope; with each slight twist the viewer is rewarded with riotous bursts of yellow in the spring, swathes of deep green in summer, russet hues in autumn and dramatic whiteouts in deep mid-winter. Nestling in the heart of the village, constant witness to centuries of unpredictable climate and human turmoil, is the simple whitewashed cottage housing The Grasmere Gingerbread Shop. First built as a village school in 1630, it draws visitors from all over the world, eager to push past its famous green front door to glimpse the world of Sarah Nelson, the Victorian creator of Grasmere Gingerbread who lived and worked here for fifty years between 1854 and 1904. The scent of ginger hanging in the air whets the appetite and always evokes a sense of well-being, sweet aromatherapy for the soul. 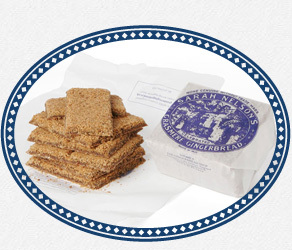 Once you have crossed the threshold of The Grasmere Gingerbread Shop and bought and eaten your freshly-baked slices of traditional Grasmere Gingerbread, you are well-fortified to explore the rest of the village and valley. If you only have a few hours to enjoy you must surely savour the moments here: one visitor who returns for his birthday each year treats it like a visit to Brigadoon, the mythical Scottish village that rises out of the mists for only one day every 100 years so it is never changed or spoilt by the outside world. 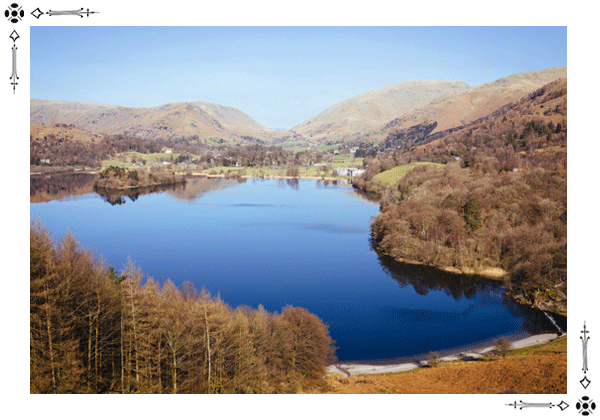 “It’s how I think of Grasmere, constant, unchanging, a place of tranquillity,” he wrote. Which, of course, it is and yet there are so many things to see, so many experiences to enjoy. In that sense one day is never enough. 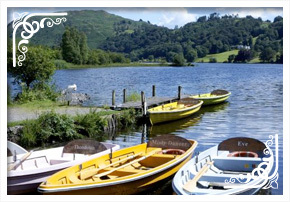 Adjacent to the village that takes its name, Grasmere is one of the smallest lakes in the Lake District. With its one privately-owned island and just 1,700 yards long and 700 yards wide it is chocolate box picture perfect, a sapphire jewel in summer when its waters reflect a cloudless sky. Despite a partial haul along the busy A591, the lakeside route is delightful and if you have the energy climb Loughrigg Fell at its southern tip for splendid views. This is a super walk for older children. Another relatively easy but rewarding stroll is from Grasmere to Rydal Mount, the final home of Wordsworth. It follows in the footsteps of the Coffin Route, so-called because it was the path traditionally taken by mourners from Rydal and Ambleside to St Oswald’s Church in Grasmere, and offers reflective views over Rydal Water. A third recommended walk from Grasmere village is to the uncrowded Easedale Tarn, called ‘the Black Quarter’ by Dorothy Wordsworth due to its dramatic appearance and encircling ring of dark fells. 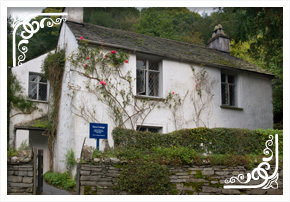 Dove Cottage and Rydal Mount are well-known as the homes of William Wordsworth, the great romantic poet of the 19th century. It was in Dove Cottage, which the poet rented for just a few pounds a year from 1799 to 1808, where he wrote some of the greatest and most-loved poetry of the English language including Ode: Intimations of Immortality and Ode to Duty and where his sister Dorothy kept her famous Grasmere Journal. Little has changed since the Wordsworths lived here and the glowing coal fires, stone floors and dark panelled rooms give a strong sense of the past. Immediately behind the cottage is the Wordsworth Museum. In 1813 the poet moved to the far grander home of Rydal Mount where he lived until his death in 1850. He designed the gardens and even built a writing hut in the grounds with views across to Grasmere and Windermere. A frequent visitor to the house was fellow poet Samuel Taylor Coleridge. 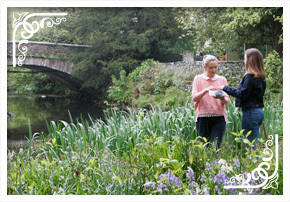 Interestingly, Joanne Hunter, a partner in The Grasmere Gingerbread Shop has personal family connections to Wordsworth. “My great-great grandparents entertained the Wordsworths for tea, and I used to accompany my grandfather to Dove Cottage who looked after the fire in Dove Cottage,” she said. Whilst the first church in Grasmere was founded by Oswald of Northumberland in 642, the present St Oswald’s Church dates from the 14th century and is a Grade 1 listed building. 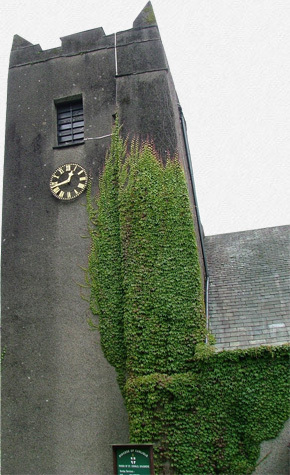 Constructed in a rather bleak roughcast stone it has, nevertheless, some interesting internal features including a poor box dating from 1648, a balustered altar rail from 1725 and an Arts & Craft style pulpit carved with fruits and flowers. Its association with William Wordsworth is celebrated in a monument to the great poet which features an epitaph by churchman and fellow poet John Keble. Wordsworth is buried in the churchyard in a very unassuming grave. The church hosts an annual rushbearing ceremony in which local children scatter rushes and flowers onto the floor of the church. Afterwards, they are presented with a piece of sticky gingerbread made and donated by The Grasmere Gingerbread Shop. Featuring a stamp of Saint Oswald it is a well-deserved tasty treat at the end of a hectic day! 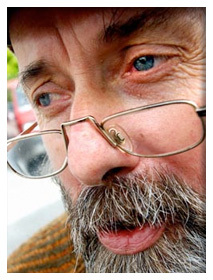 The actual rushbearing ritual dates back to ancient times when churches had simple earth floors and rushes were used to insulate parishioners against the cold and sweeten the air. St Oswald’s Church was recently gentrified read more about it here on The Westmorland Gazette. Taffy Thomas’s head is jam-packed with stories, riddles and folklore lovingly dredged from a deep literary and cultural well. A trained literature and drama teacher, he went on to found the legendary Magic Lantern folk theatre company which combined traditional tales and songs with shadow puppets and circus routines. 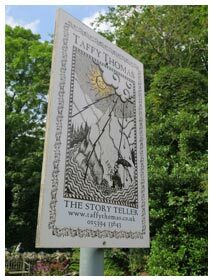 After suffering a major stroke at the age of 36 he used storytelling as a form of self-imposed speech therapy which led to his present incarnation as England’s most authoritative storyteller based at The Storyteller’s Garden in Grasmere situated opposite The Grasmere Gingerbread Shop. Drawing on more than 300 fantastic tales and legends, his unique talent comes alive at special events here throughout the year, often including jugglers and musicians and with lit braziers for warmth and added atmosphere. For art lovers, the Heaton Cooper Studio opposite the village green is a wonderful space for appreciating high-quality art and sculpture within a wider natural environment renowned for its scenic splendour. Established in 1938 from the proceeds of his first book, Hill of Lakeland, his new gallery quickly became a popular destination for visitors to Grasmere. Today, the Studio is composed of three galleries exhibiting more than 100 prints by the Heaton Cooper family of artists, the sculptures of Ophelia Gordon Bell and a host of books and greetings cards. 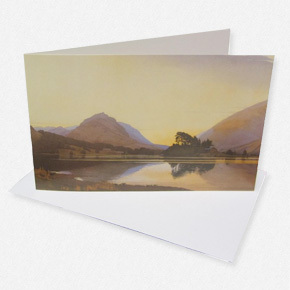 Grasmere by Heaton Cooper – Available to purchase here. First held as an annual event in 1868, Grasmere Sports has been a regular fixture on the local calendar ever since apart from during the First and Second World Wars. 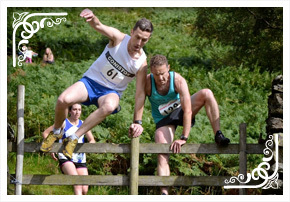 This distinctive gathering every August features Cumberland and Westmorland wrestling, fell running and hound trailing all set against the magnificent backdrop of the Lakeland fells and Grasmere Gingerbread is a major sponsor. Next to The Grasmere Gingerbread Shop is the beginning of the lovely Riverside Walk which shadows the River Rothay as it winds its way through the village. Perfect for mums with pushchairs and children, and also wheelchair friendly, it emerges at the village park which is popular for picnics and ball games. It is a lovely inexpensive way to pass a lazy summer afternoon. 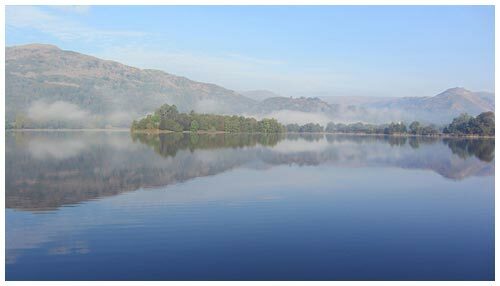 Taking a rowing boat out on Grasmere is, of course, a midsummer day’s dream when the still water’s glassy sheen reflects the surrounding fells and fluffy clouds. After you have rowed to the middle of the lake, ease off, lie back, enjoy the gentle lapping of water against the side and let your mind drift to the gentle vision of fairy spirits wandering over hill and dale. Enchanting. Since the end of the Second World War the Grasmere Players have dedicated themselves to producing and performing some of the world’s best-loved plays for visitors including Twelfth Night, Blithe Spirit and An Inspector Calls. 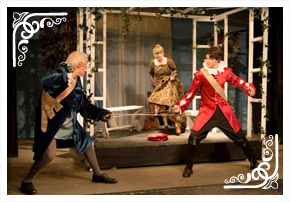 Summer and Christmas productions are always well-received by critics and public alike and the company has built up a loyal regional and national following. Grasmere Gingerbread Shop baker Nigel Prickett is himself never lost for words as he is a member of the Players and can often be heard rehearsing his lines as he goes about his daily tasks. All the performances take place in Grasmere’s New Hall, Broadgate, next to the village park. Founded in 1904 by artist WG Collingwood, secretary to John Ruskin, the members stage extremely popular summer and winter exhibitions. The summer event is held in the New Hall, Grasmere and attracts thousands of visitors whilst the Rheged Centre near Penrith hosts the winter collection. Painters depict vivid landscapes, portraits, wildlife and still lifes in a variety of mediums whilst sculptors craft stone, wood and ceramics into collectable objets d’art. 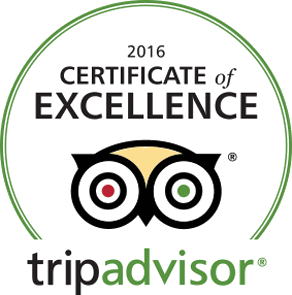 You are spoilt for choice in Grasmere when it comes to accommodation and any selection is ultimately down to personal taste. 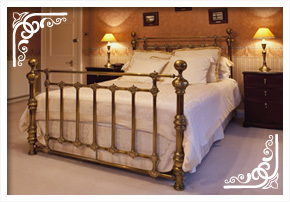 The four star Daffodil Hotel and Spa is critically acclaimed for its fabulous food and luxurious Germaine De Capuccini Spa; the well-appointed four star Wordsworth Hotel lies in the heart of the village and is loved for its log fire ambience and first-rate food whilst the cosy and comfortable three star Swan Hotel enjoys a provenance stretching back to its 1650 origins as a coaching inn. The four star contemporary Rothay Garden Hotel boasts a stunning Garden Restaurant and Riverside Spa; the fabulous Moss Grove Organic Hotel really does live up to its eco-friendly name and vegetarians will adore the Lancrigg Country House Hotel just a short walk from Grasmere. There are, of course, many other well-loved hotels and B & B businesses in the village with a host of self-catering options to suit every pocket and taste. Grasmere also boasts a very well-stocked Co-op store and even a local newsagent specialising in jigsaws for rain-drenched afternoons in front of the fire. 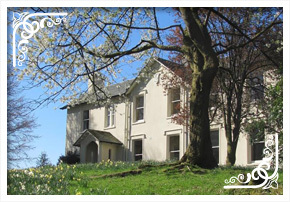 A former home of William Wordsworth, Allan Bank was partially destroyed by a fire in 2011 but has since been lovingly restored and is now home to a National Trust information centre, shop and café. The grounds are ideal for families with lovely woodland walks, watercourses, pools and a Victorian viewing tunnel which is great for children to explore. Grasmere has an eclectic mix of shops stocking clothing, walking and climbing equipment, original arts and crafts, books and souvenirs. Fell walkers and climbers are particularly spoilt for choice with Cunningham’s, Mountain Warehouse, Edge of the World and two independent stores. Grasmere has some excellent cafés and tea rooms and the local hotels and pubs have excellent evening lunchtime and dining for non-residents. As well as on-street disc parking, there are three pay and display car parks for Grasmere, Broadgate Meadow, Stock Lane and Red Bank Road, which offer convenient locations for accessing the village and surrounding attractions. Broadgate Meadow, Grid Reference: NY 338 077 Postcode: LA22 9TA is on the northern edge of the village with easy access to shops, cafés and toilets (200 yards away). There are seats on the edge of the car park overlooking the River Rothay and there is an adjacent children’s playground. It is a great starting point for walks to Helm Crag, Easdale Tarn, Alcock Tarn and Fairfield. Stock Lane, Grid Reference: NY 339 072 Postcode: LA22 9SJ is near the entrance to the village and convenient for Dove Cottage and St Oswald’s Church where both William Wordsworth and Sarah Nelson are buried. 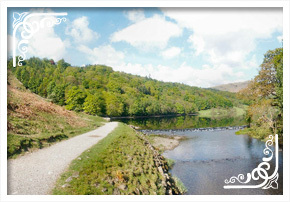 Great walks from here include Silver Howe, Rydal Fell and Loughrigg. Red Bank Road, Grid Reference: NY 335 073Postcode: LA22 9PU is in the centre of the village near the garden centre and closest to The Grasmere Gingerbread Shop. Grasmere’s public toilets are conveniently located in College Street, near the village green where there is also a disabled toilet and baby changing facilities. Toilets can also be found at Stock Lane car park again offering a disabled toilet. The village post office is conveniently located in The Old Coach House on Stock Lane and has wheelchair access. It is open seven days a week, 9am to 6pm. Cash Machine in Grasmere: Free and available in the Co-op, unfortunately there is no bank in Grasmere. 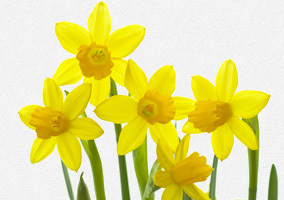 Grasmere Garden Village is a well-stocked garden centre with an array of high-quality plants and gifts and its aptly-named Potting Shed Café serves everything from tea and scones to freshly prepared meals using seasonal produce. There is on-site parking for customers. Grasmere is superb for photographers. High vantage points at either ends of the valley are Helm Crag on Dunmail Raise looking down to the village and lake, and Loughrigg Fell which has superb views up to Helm Crag. The dramatic seasons, varied weather, ever-changing light and shadows ensure an endless variety of images for the professional and amateur photographer alike. Nearly every corner of every walk in and around Grasmere could be designated a picnic spot but idyllic locations include Grasmere lakeside, White Moss Common, the Steel Bridge en route to Easedale tarn and Grasmere village park. Not only are many of the regular walks in and around Grasmere suitable for children, especially if parents customise them to suit different ages, but dedicated activities for children include Taffy Thomas’s storytelling events (see above), special children’s events at Dove Cottage and Allan Bank and boating on Grasmere lake.